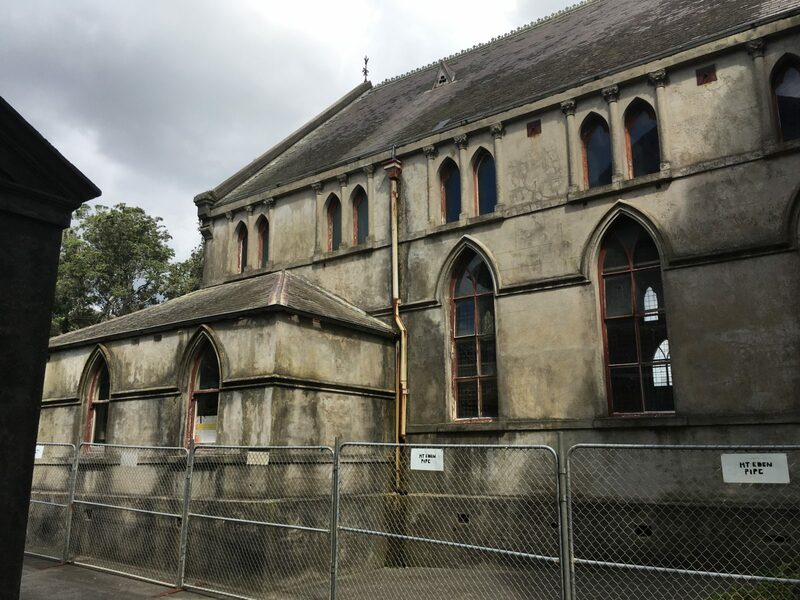 An engineer working for View West Developments, who are attempting to demolish the Category B St James Church Hall in Mt Eden, spoke on RNZ’s Morning Report last Friday about the “significant danger” posed to the public. Oison Frost said there was “no other option but to knock the building down”. Although the hall was issued with a “dangerous building” notice by Auckland Council in 2012, a council spokesperson Steve Pearce said that “we are continuing to monitor the building and will review the safety arrangements if the structural integrity of the building changes”. He also stated that there were plenty of other options available for the building besides demolition. Auckland Council declined an application for demolition by View West late last year. View West has appealed against this and is in mediation with the Council (and Civic Trust as an affected S274 party), before proceeding to the Environment Court. Auckland Council and Civic Trust have expert engineers, architects and a reputable developer all agreeing that the Hall is quite capable of strengthening, restoration and adaptive use for apartments.